Welcome to what is known as "Georgia's Little Grand Canyon," Providence Canyon State Park located in central Georgia near Lumpkin. Unlike most canyons, this one was not so much carved out by a river as it was by human activity. 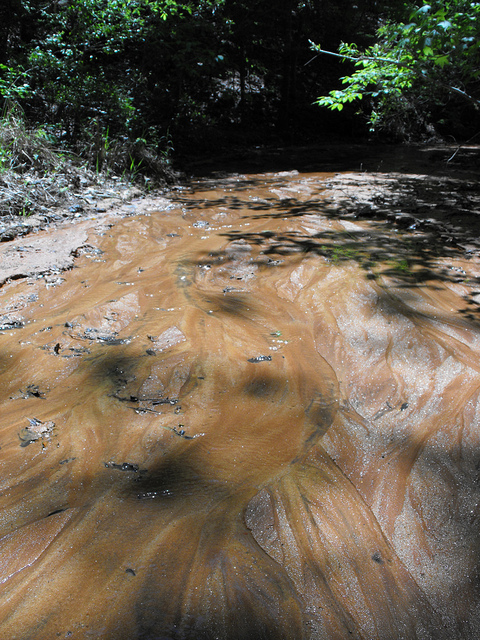 Poor farming methods in the 19th century in this region resulted in increased erosion. Though it is called the "Little Grand Canyon," it is only 150 feet deep at it's deepest point whereas the Grand Canyon is a mile deep at it's deepest point. 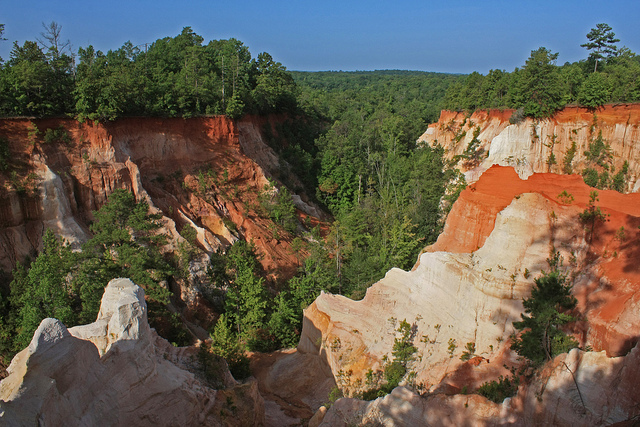 Wildlife: Providence Canyon State Park helps protect the home of white-tailed deer, squirrels, raccoons, and red-tailed hawks. Please treat their home with respect. For the lover of the outdoors, I would like to tell them about my personal experience as the founder of RecPlanet. I came here in April 1996 when I was in the 8th grade on a trip around Georgia in order to meet the State's requirement that all 8th graders study the state. We took the three mile hike through the canyon and were all fascinated to see the old cars with trees growing through them. It was very beautiful. This park also boasts two picnic shelters and several campsites. Come on out and explore. To contact the park office please call 229-838-4706.